A worst case scenario happened aboard the Norwegian cruise ship, as two guests fell ill. The passengers were medevaced off the ship by the U.S. Coast Guard. The misfortune began when a female passenger who wasn’t named fell ill aboard the Norwegian Breakaway. The cruise ship was returning to New York from Bermuda when the call went out to the Coast Guard. The Coast Guard informed the ship to come within range of the helicopter to make the rescue. The call came in when the ship was 360 miles out. The helicopter dispatched from Elizabeth City, North Carolina and made contact with the ship 260 miles from shore. We do know the age of the female passenger is 28, but it doesn’t end there as another passenger, also fell ill. The 38-year-old man reported similar symptoms as the female passenger, and both passengers were complaining about heavy stomach pains. Once the coast guard arrived they were airlifted, and both passengers went to the hospital for further treatment. 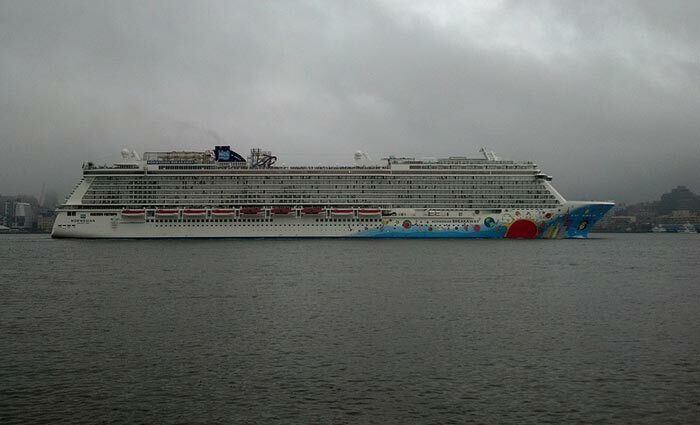 Norwegian Breakaway weighs 146,000 gross-tons and carries up to 4,600 passengers. The ship was in route towards Bermuda before the incident occurred. Cruise hive previously reported on stomach virus outbreaks aboard other cruise ships. There no release of official statements up to this point.